Leafy Leaf Mail Box Bracket by Achla at Lawn and Garden Mart. MPN: B-10. Hurry! Limited time offer. Offer valid only while supplies last. The elegantly detailed Leafy Leaf Mailbox Bracket securely holds any U.S. Postal Service approved medium or large mailbox to your building or post. The elegantly detailed Leafy Leaf Mailbox Bracket securely holds any U.S. Postal Service approved medium or large mailbox to your building or post. The curling scroll can be additionally used to hold a flower basket. 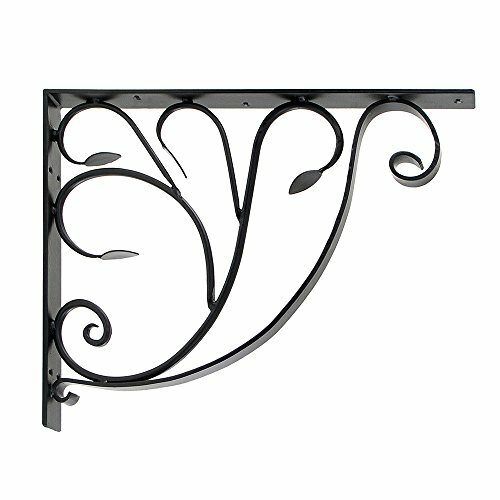 A pair of brackets can be used as heavy-duty supports for a large shelf or window box. If you have any questions about this product by Achla, contact us by completing and submitting the form below. If you are looking for a specif part number, please include it with your message.